Togi Alfa Romeo Turbo Special Kit. 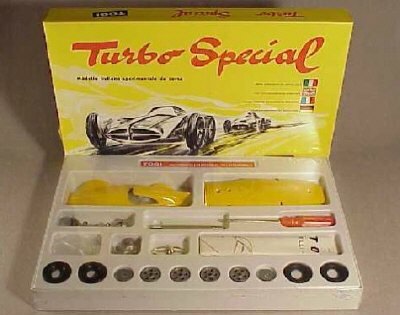 This wonderful kit will build into the mysterious "Turbo Special" which Togi calls the "Italian experimental racing model"! 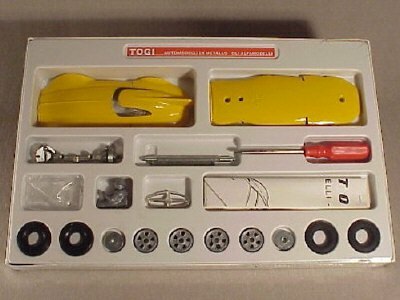 Of course made in Togi's own 1/23 scale, this is a very nice example of what the early Togi models looked like but it is of course a re-issue. 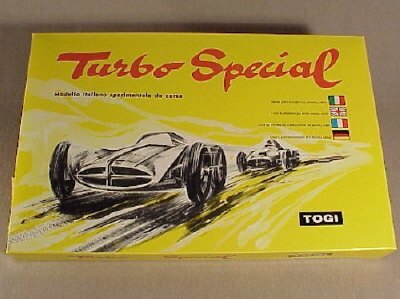 This diecast kit is complete and the lower box is still sealed in shrink-wrap to ensure that no parts get lost. Diecast kit that builds into a scale model of some 7 inches or 18 cm long, in scale 1/23.